Bracebridge OPP are investigating a serious crash involving an 11 year old operating a snowmobile on Kahshe Lake in Gravenhurst. Police say that shortly after 5 pm on Monday January 21st, officers were called to attend a snowmobile crash on an island on Kahshe Lake. Police, accompanied by Muskoka EMS and Gravenhurst Fire attended to find that an 11 year had apparently been doing "doughnuts" on the ice surface when he lost control of the machine. 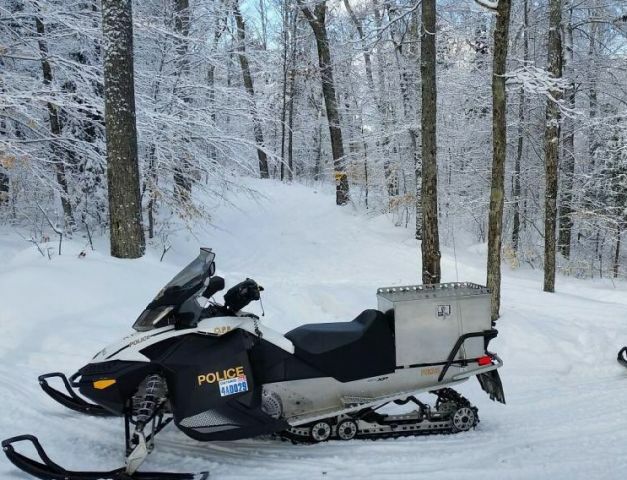 The snowmobile carried its operator up a steep embankment where it struck a tree. The rider and machine then tumbled back down the embankment to the ice surface. The child was wearing helmet but still sustained a broken arm and facial injuries. He was transported to hospital by ambulance before being flown to Sick Kids Hospital in Toronto.